StopAfib.org proudly announces the opening of nominations for the Eric N. Prystowsky, MD Advocate for Patients Award. StopAfib.org founder Mellanie True Hills will present the award during the Friday evening reception at the annual Get In Rhythm. Stay In Rhythm.™ Atrial Fibrillation Patient Conference, August 4-6, 2017 at the Fairmont Hotel in Dallas. The Eric N. Prystowsky, MD Advocate for Patients Award recognizes a clinician who has demonstrated outstanding service to and contributions for the benefit of afib patients and their families. Dr. Eric N. Prystowsky, an electrophysiologist at St. Vincent’s in Indianapolis, was the first recipient of this award—then called the "Advocate for Patients Award," in 2013. We selected him because he has played such an important role in getting the afib patient community a seat at the table with our doctors, which means the people who make decisions about our care are able to consider our concerns, wants, needs, and desires. When he was the president of the Heart Rhythm Society, he arranged for patient organizations to participate in the annual medical conference, and even established that HRS would provide free exhibit booths for patient organizations so we could connect with electrophysiologists and other healthcare providers. He brought patients into think tanks and advisory boards to influence decisions about our care. He brought the patient perspective to guidelines committees so that our treatment would be patient-focused. He brought afib patients in to speak at medical conferences so that doctors and nurses would understand the patient perspective and could do a better job of treating us. These are just a few examples of what it means to be an advocate for patients. The team at StopAfib.org has worked with Dr. Prystowsky on a campaign to preserve the brain, helping patients and their doctors understand the role that sinus rhythm plays in stroke prevention in atrial fibrillation. Dr. Prystowsky has co-authored two textbooks, published more than 700 articles, sat on numerous guidelines committees and think tanks, is on the editorial board of 16 journals, and is the Editor-in-Chief of the highly-prestigious Journal of Cardiac Electrophysiology. He is the most sought-out afib expert at medical conferences around the globe. Then, at the 2016 Get In Rhythm. Stay In Rhythm.™ Atrial Fibrillation Patient Conference, we renamed the award to the Eric N. Prystowsky, MD Advocate for Patients Award (see photo above). We plan to present the award this year at our patient conference. Now, we need your help to select the appropriate recipient of this award. The deadline to submit nominations has been extended to July 3, 2017. To nominate a clinician who has demonstrated outstanding service and contributions to afib patients and their family members, please complete the online nomination form. Here is some general information about the process. 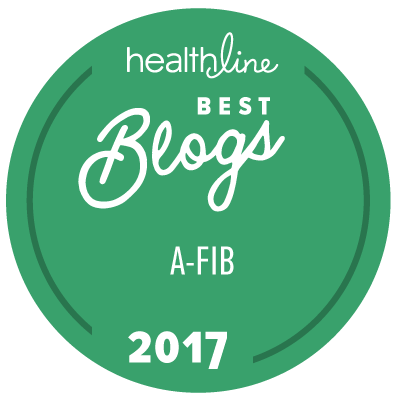 Afib patients and their family members may nominate a doctor, nurse practitioner, nurse, or other healthcare professional who is making a difference in how patients and family members are cared for. Each nomination requires an explanation of why the nominator believes the nominee should win (up to 750 words). A panel of judges will review the nominations and select a winner; or, at their discretion, may elect not to present the award in any year. All entries must be submitted by July 3, 2017. Again, we'll present the award during the Friday evening reception at this year's conference, which is scheduled for August 4-6 at the Fairmont Hotel in Dallas. Be there to meet and congratulate the recipient of this prestigious award, and even have the chance to ask him or her your questions!